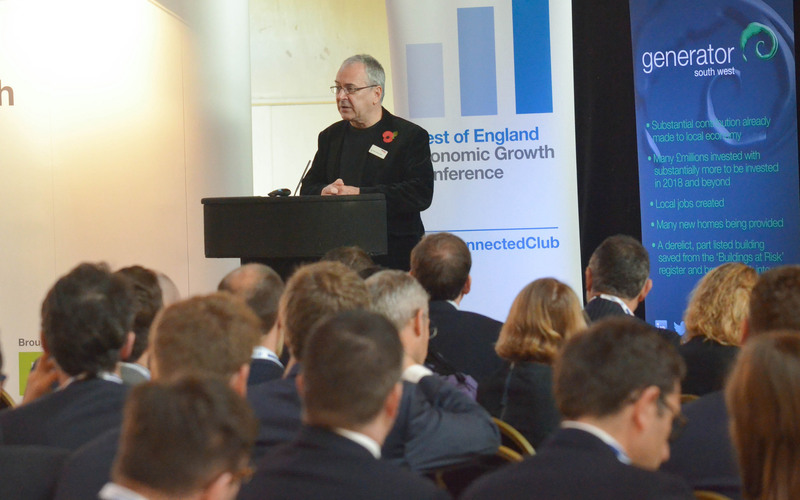 Bristol will have more frequent rail connections with Central London than the outer stretches of the capital’s Metropolitan underground line by the end of next year, the chair of Network Rail has told the West of England Economic Growth conference. He also said that the new intercity trains being introduced on the GWR line were able to carry 25% more passengers than the vehicles they had replaced. He said Network Rail was working with the West of England Combined Authority (WECA) on plans for ‘Metro West’, a new commuter rail network which will straddle the city region from Severn Beach and Weston-Super-Mare in the west to Bath in the east. WECA’s recently elected mayor Tim Bowles said in his opening keynote presentation that the city-region’s population had grown by 9% between 2001 and 2011, which was faster than any other in the UK. And he highlighted IT giant Oracle’s decision to choose Bristol as one of its cloud computing global accelerators as a ‘powerful statement of intent from a leading global technology company’. Bowles said the combined authority had commissioned a study to give an overview of the west of England’s digital connectivity, which would help inform future housebuilding plans for the city-region.